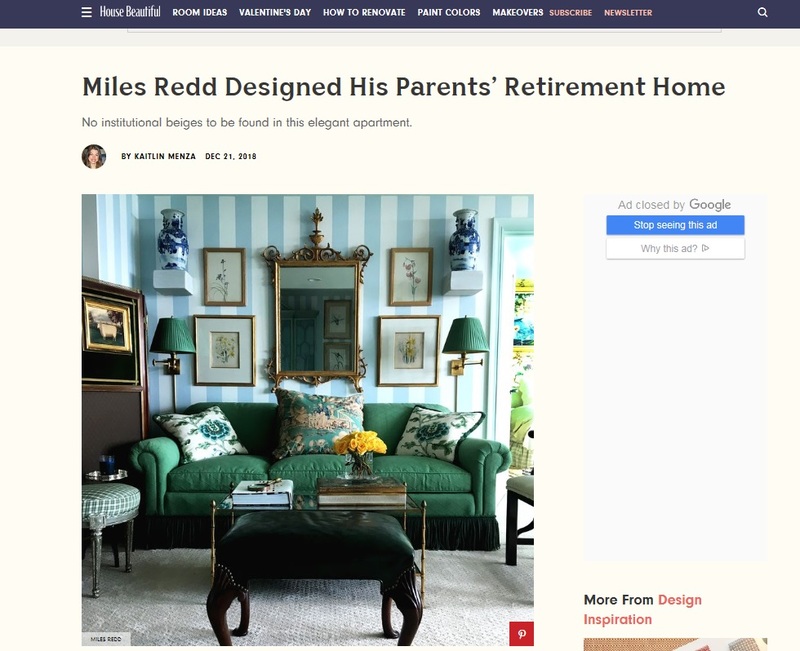 Read an excerpt below from House Beautiful Magazine's article in which designer Miles Redd, son of Lenbrook residents Buddy and Sue Redd details his design of their Lenbrook residence. In February 2016, Miles Redd shared the saga of redecorating his childhood home with House Beautiful. "Would you please help your mama? This house is getting a little long in the tooth," was the fateful call the designer recalled getting from his mother. "[S]he, at age 78, finally trusts me enough to let me freshen the place up." The resulting design—full of happy kelly greens, bold yellow stripes, and taffeta table skirts—ran in that month's issue. But just two years later, his parents were ready once again for a change. This time, they decided to move to Lenbrook, an assisted-living facility off Peachtree Road in Atlanta. "It was very close by to our family house. It has an excellent reputation, and they have lots of friends in the facility," Miles says. "It felt like a smart and easy solution for their later years." Aside from the mission statement of Lenbrook, the high-rise apartment building is still just that: filled with blank-slate apartments. "When you get to the lobby, it looks like a Four Seasons to me: beige and gold and swirly red and brown carpets, you know, polished mahogany," Miles says. 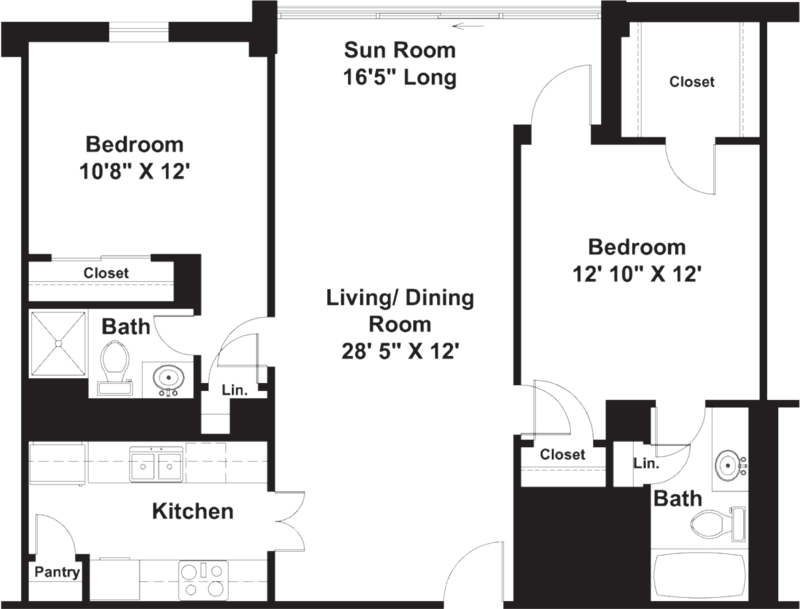 "When you move in, you can trick it out the way you want it." What did his parents want from their new home? They wanted to pick up all the furnishings he’d chosen for them a few years back and move them down the street. "You do a floor plan and figure out what’s going to work: That's where the breakfront goes, that's where the bar is going to go," Miles say. "We picked up and trucked it around the corner."